Welcome back to the GPL blog. I have another exciting announcement and that is that we are adding four additional markers to our MycoTOX Profile, which screens for exposure to mycotoxins from mold. Yet again, our laboratory scientists have shown why we are an industry leader in toxin exposure assessment. These four new markers will now give us 11 markers on our revolutionary MycoTOX Profile. These additional markers are also being added at no additional cost. Just by ordering the MycoTOX Profile you will get these four new markers in addition to the previous seven markers. This test can be easily be added to the GPL-TOX (Toxic Non-Metal Chemical Profile) and the Organic Acids Test (OAT), all with just one first morning urine sample. Gliotoxin (GTX) is produced by the mold genus Aspergillus. Aspergillus spreads in the environment by releasing conidia which are capable of infiltrating the small alveolar airways of individuals. In order to evade the body’s defenses Aspergillus releases Gliotoxin to inhibit the immune system. One of the targets of Gliotoxin is PtdIns (3,4,5) P3. This results in the downregulation of phagocytic immune defense, which can lead to the exacerbation of polymicrobial infections. Gliotoxin impairs the activation of T-cells and induces apoptosis in monocytes and in monocyte-derived dendritic cells. These impairments can lead to multiple neurological syndromes. 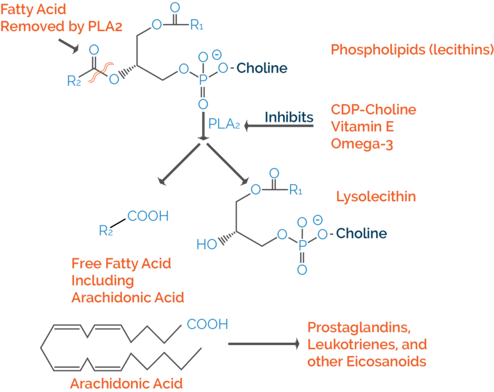 Mycophenolic Acid (MPA) is produced by the Penicillium fungus. MPA is an immunosuppressant which inhibits the proliferation of B and T lymphocytes. MPA exposure can increase the risk of opportunistic infections such as Clostridia and Candida. MPA is associated with miscarriage and congenital malformations when the woman is exposed in pregnancy. Dihydrocitrinone is a metabolite of Citrinin (CTN), which is a mycotoxin that is produced by the mold species Aspergillus, Penicillium, and Monascus. CTN exposure can lead to nephropathy, because of its ability to increase permeability of mitochondrial membranes in the kidneys. The three most common exposure routes are through ingestion, inhalation, and skin contact. CTN has been shown to be carcinogenic in rat studies. Multiple studies have linked CTN exposure to a suppression of the immune response. Chaetoglobosin A (CHA) is produced by the mold Chaetomium globosum (CG). CG is commonly found in homes that have experienced water damage. Up to 49% of water-damaged buildings have been found to have CG. CHA is highly toxic, even at minimal doses. CHA disrupts cellular division and movement. Most exposure to CG is through the mycotoxins because the spores tend not to aerosolize. Exposure to CHA has been linked to neuronal damage, peritonitis, and cutaneous lesions. We are also instituting some new changes to our MycoTOX Profile test report. We are moving all of the interpretations to the end of the report so that all of the results will fit on the first two pages. In addition, we are changing the reportable range. Since we launched this test we have analyzed thousands of samples. By analyzing those results and comparing them to results from our Organic Acids Test, we now have a better understanding of what could be considered “normal values” for mycotoxins. On our new report (seen below) you will see two numbers on the bar graph for each marker. The number on the left is what we consider the maximum safe amount of mycotoxins a patient can have before symptoms may start to appear. The number on the right is our 75% for our patients. If your value is above this number then you have more mycotoxins than 75% of patients that have sent in samples. These should be considered extremely elevated amounts and treatment is highly recommended. I recommend to all practitioners that they attend our training workshops to help better understand how to evaluate the results from our tests, as well as to learn what treatments have been most effective. Our GPL Academy workshops are great learning experiences. At these events you can talk to our laboratory experts as well as discuss treatment plans with practitioners that we invite that are experts in their fields. Please follow this link to find a workshop near you. Welcome back to the GPL Blog. Since we released our new GPL-MycoTOX Profile, we’ve received many questions about what the differences are between the types of mycotoxin testing available, why we use the technology that we do (LC/MS), and why we believe that technology is superior. I wanted to share our feedback about that with you, including support data in the form of some split sample reports. ELISA testing is notorious for false positive readings. ELISA principal is a lock and key activation. If any molecule fits the lock then the result shows up positive. One of the criticisms often heard about mold testing is the over-abundance of positive results. The literature backs up this observation with findings that show inferences that cause false positive results. At Great Plains, we use LC/MS, not ELISA. LC/MS separates out molecules by their chemical properties and measures their mass, so we get a definitive answer for every sample. We also use internal standards in every sample to give a definitive quantitative reading. There are many factors that could influence the value for any urine test, including how recent the exposure was, how much the patient is detoxifying, and how much liquid the patient drank the night before giving the sample. We are able to correct for the third of these reasons by measuring the amount of creatinine in the sample, which compensates for how diluted the sample may be. A particular sample one of our practitioner clients asked us about was more concentrated than most (creatinine was 166 mg/dL). If the value was 80 mg/dL, then the value would have been doubled. This allows us to mitigate one factor that can cause mycotoxin test values to fluctuate. We have received a couple dozen results from patients that run a test for mycotoxins from another lab, then have run our test. 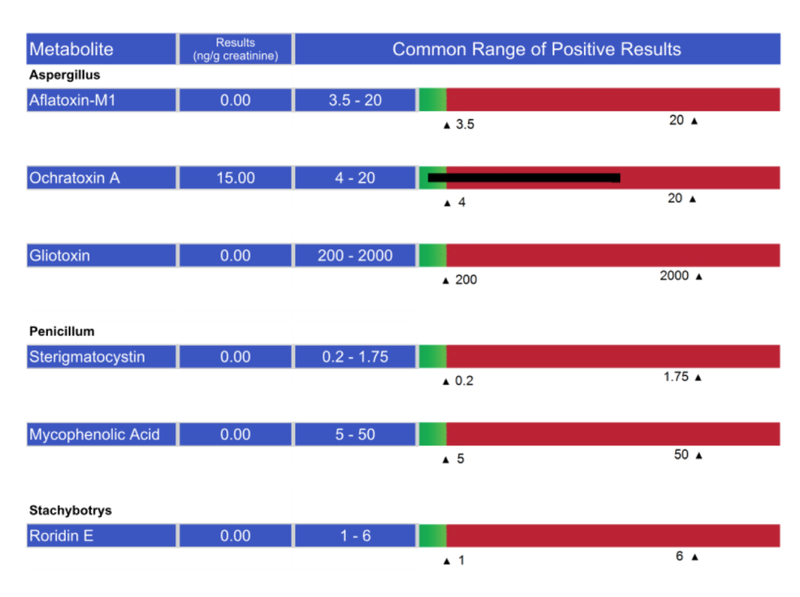 We have seen the gamut of results such as their previous test coming back negative and ours is positive (see examples here – Patient 1 with GPL and Patient 1 with RTL), both tests were positive (see example here -- Patient 2 with GPL and Patient 2 with RTL), and values where the patient was negative on both. Please let me know if you have any questions about our GPL-MycoTOX Profile and we look forward to our continued work with you.